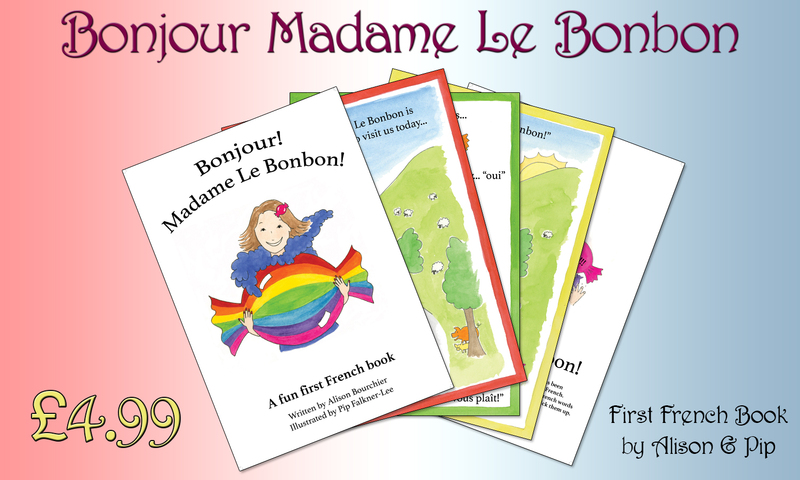 We wanted to let you know that the first print run of ‘Bonjour Madame Le Bonbon’ is now on the shelves and available from Hebe’s Emporium (Unit 5 Tithebarn Workshops) at just £4.99 each. Alison Bourchier (author) and Pip Falkner-Lee (illustrator) put the book together as a joint project and approached us at SerenArts Gallery where we were responsible for the formatting and printing of this great first French book. We were pleased to be involved in such a fun job. This entry was tagged Bonjour Madame, Hebe's Emporium, serenarts gallery. Bookmark the permalink.